Codeta is a popular online casino which focuses on online and live table games. With a clear focus on putting the customer first, and providing a simple but engaging experience, Codeta certainly ranks highly among my favourite casinos and is likely to do so with you as well. Codeta CasinoPlay at Codeta Casino, get your €300 bonus now! The name Codeta was invented by the founders during their travels in Asia. They describe it essentially as meaning ‘standing out and being better than the rest’. In short, I think that’s quite an accurate representation of how the casino operates and what it stands for. Immediately upon browsing the site, you’ll notice the simplistic layout, with a real focus on the games including a brief description of each and ‘how to play’ explanations. This might not sound like a big deal, but many casinos are often bogged down with what comes across as ‘spammy’ content, making it difficult to get to where you want. Codeta clearly knows what the players are there for and wants to make the whole experience pleasurable. Since Codeta is an online casino which focuses on table games and live dealer games, you can find a wide range of different variations of games which are typical for every landbased casino. Among the Live Casino games, you can find Live Blackjack, Live Casino Hold’em, Live Roulette, Live Baccarat and Live Three Card Poker. A few additional live-dealer games can also be found in this category. What is great and different about Codeta are the tutorials they provide for the table games which are available on their platform. This will help many players who are still rookies in the field and need some guidance so that they can enjoy their gaming experience. The online casino has a search bar where you can type the name of the game you want to play. You will find a variety of games provided by leading companies such as Microgaming, NetEnt, IGT, and Play’n GO. As one of the most popular games in both brick-and-mortar and online casinos, slots are a big portion of the gaming variety of Codeta. One of the most popular variations at the moment is Rich Wilde and The Book of Dead. Enjoy the adventure of this Indiana-Jones-inspired slot with 10 paylines and a gameplay which will keep you on the edge of your seat. Zombies and Starburst are also among the top slots of Codeta. Table games are definitely the pride of Codeta and this is why players can find many online and live versions of Blackjack, Baccarat and Poker. The live-dealer games can make any player enjoy a thrilling and realistic gambling experience which is in no way inferior to the one offered by landbased casinos. If you are one of Codeta’s players, you can enjoy Video Poker variants such as All American, Jacks or Better, Aces and Faces, and Deuces Wild. There is nothing better than being able to enjoy a video poker game in the comfort of your own home. Specialising in table games, you would hope that the roulette games on offer were of a high quality and varied. They are. In fact, there are over forty different roulette games available, both live and virtual. That certainly gives them an edge over many of their competitors. There are several providers of roulette games at Codeta, many of whom you will have heard of, offering high-quality performance and interactivity. I have to say, there are a couple of games which seem a bit behind the times, but with so many titles on offer you will be able to find a similar variant providing you with something a bit better. The wide range of roulette variations that Codeta provides is made to suit the taste of every player. 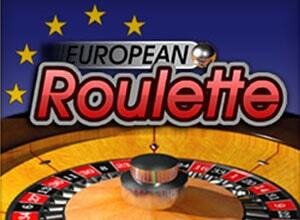 American, European and French roulette can be found in many different editions. Codeta’s interface allows players to easily choose from the long list of online and live dealer roulette games. The web casino is designed to present players with the most popular and entertaining games in each category. Since Codeta’s strong point are the live casino table games, you will see that the most popular variations of roulette on the main page of the casino are the live versions. There are even live casino roulette games, available in different languages which is a very convenient option for foreign players. If you want to enjoy an animated edition of the classic table game, you can also look in the animated subcategory of the list with roulette variations. One of the best live dealer games in this category is Immersive Roulette which was crafted by Evolution Gaming’s innovative team of developers. The one distinctive feature of the game is the different camera angles which can show players every part of the virtual casino table. This makes the entire experience very realistic and entertaining. Apart from the dynamics of the game and the excitement that you get, there is nothing unusual in the rules of Immersive Roulette. The table layout is the same as the one in European roulette. Players can make inside and outside bets which are typical for the game. There is also a racetrack which means that players can place call bets as well. This makes the gambling possibilities even greater. Since there is only one zero pocket on the wheel, the RTP percentage is pretty good. Evolution Gaming is well known for the quality of their live games and Immersive Roulette is definitely a wonderful example of their work. Players who choose to engage in this live dealer variation of roulette will be able to enjoy a very high quality of both video and audio. This will make your experience in Codeta casino thrilling and unforgettable. As the name of this game suggests this is a variation of live roulette which can appeal to players who hate dealing with the slow pace of the regular table game. This is why Authentic Gaming has created Auto Roulette Live 60 Seconds which does not have a live dealer but it does utilise a real wheel. The 60 seconds stand for the time you have to place your bet until the next spin of the wheel. Automatic roulette is quite popular in landbased casinos and now Codeta’s players can also enjoy this fast and exciting game in the comfort of their own home. The rules of Auto Roulette Live 60 Seconds are simple and you have the typical layout of European roulette, which means that there is only one zero, making the chances of winning higher. The interface of the game is wonderful and very easy to use. Players can open an additional racetrack next to the regular betting layout. This can help them make call bets easier and faster. If you want to save the betting patterns you consider lucky, you have the option to save your favourite bets. If you want to just sit back and enjoy your game, you can also use the Autoplay option which will allow you to play a few rounds without being interrupted. This variation of roulette has become quite popular in the past few years and this is why one of the most popular animated variants of Codeta is Double Ball Roulette which is a product of the wonderful team of Felt Gaming. What makes this edition of roulette so exciting and fun are the unique rules which apply here due to the presence of a second ball. This makes the bets riskier but the game is definitely interesting and worth trying. The game allows players to make inside and outside bets and there is an option to activate a racetrack which will allow you to place call bets. The interface of the game is quite user-friendly and players can find all the information that they need. The graphics are very good and players can enjoy a roulette version that is something out of the ordinary. European Roulette which is designed by 1×2 Gaming is also one of the popular games in the online roulette category of Codeta. Players can enjoy a thrilling gambling experience if they choose to engage in this classic table game. Since this is an edition of standard European roulette, players should have an easy time understanding the rules of the game. There is nothing unusual about the layout and the gameplay and true roulette fans can enjoy this classic with a lower house edge and that can be quite beneficial for players. The simple design of the game can help you enjoy an authentic gambling adventure which can give you the thrill that any landbased casino can. Players can make inside and outside bets and there are plenty of options allowing you to modify your gameplay. If you decide to create your own account at Codeta, you should know that their banking solutions are praiseworthy. Depositing your money is secure and trustworthy, with quick withdrawal times matching competitors. The currencies which are supported by Codeta online casino are AUD, CAD, EUR, GBP, NOK, SEK, and USD. VISA and MasterCard credit and debit cards, ecoPayz, Neteller, Paysafecard and Skrill are among the payment methods accepted by Codeta. Most of these methods are suitable both for making deposits and withdrawals. The minimum deposit that players can make is €10 and the daily limit for withdrawals is €5000 and €10000 for VIP members. Since most players prefer credit and debit cards as the most suitable methods for transactions, Codeta online casino has embraced this popular way of payments. Players can choose to manage their online casino money via their VISA or MasterCard debit or credit cards. E-wallets have become one of the safest and fastest ways to manage online players’ funds. This is why Codeta users who utilise Neteller, Skrill or ecoPayz can handle their payments via their e-wallets. One of the biggest advantages of utilising e-wallets is the speed of the transactions. As more and more online gamblers choose to use prepaid cards as payment methods, the users who have an account at Codeta can also Paysafecard as a way to manage their funds. If you consider that this method is the safest for you, you can easily make a deposit to your online account using Paysafecard. There are a lot of benefits of using these vouchers to make deposits and safe, fast transactions are among them. Since there are numerous customers of banks across Northern and Central Europe who have an access to the service called Trustly, Codeta has made sure that its players can use this online banking method to complete their transactions. This way you can make deposits to your casino account straight from your bank account. This method is considered safe, fast and pretty simple and this is why the casino accepts payments made via Trustly. Since Codeta is always trying to be relevant and keep up with the newest technologies, players can now make a deposit using the payment service Zimpler. It allows an easier iGaming experience and fast payments which can be controlled from the smartphones of the users. Since deposits made through Zimpler are instant and players can constantly have an easy access to their money, Codeta allows players to use Zimpler as a way of managing their payments. This method, however, can be used only for making a deposit. Although Codeta promotes itself as a casino which is all about the gaming experience and not so much about offering numerous bonuses or promotions, players can still enjoy quite a lot of perks when they create an account and start playing at Codeta. Welcome bonus and cashback bonuses are among the advantages you can enjoy when you join the casino. The minimum deposit players must make is €10. You should know that all bonuses expire after 7 days unless there is something else specifically stated in the promotional offers of Codeta. There is also a VIP program which can show the casino’s appreciation of loyal players. To show a warm welcome to its new patrons Codeta offers a bonus which you will receive after you have made an initial deposit of €10 or more. Players can enjoy a reload of 100% up to €300. This bonus is available only for new users who have made their first deposit. However, players who utilise Neteller or Skrill for their payments cannot claim a Welcome Bonus. This offer gives new players a one-time opportunity to make a deposit and play games with double the amount they have deposited. To withdraw your bonus, you have to meet all the bonus wagering requirements within 30 days of the activation of your casino account. You have to wager 35 times the amount of your bonus in order to be able to withdraw the bonus money from your account. Codeta offers a 10% Cashback Bonus for new players, a unique offer which is very appealing. You can claim this reward during the first step of making your initial deposit as a new Codeta player. The minimum deposit that you can make is €10. By the end of your first week in the casino, you will either get 10% on top of your winnings or you will receive 10% back on your losses. The minimum payout that players can withdraw is €5 and the maximum is €3,000. Another perk that you can enjoy as a player at Codeta is a weekly cashback bonus. This promotion gives 15% back on the net losses of players who bet in the Live Casino. Every Monday between 00:00 – 23:59 (GMT) you are able to receive this cashback bonus. All you have to do in order to participate in this promotion is to claim the bonus “Cashback Mondays” during your deposit process, after depositing a minimum of €10. You can claim this bonus only once and you will be able to enjoy the benefits every upcoming Monday. The minimum cashback bonus that you can receive is €5 and the maximum is €100. The wagering requirements for cashbacks are 1x the bonus and they must be met withing a period of 7 days. If you decide to join the VIP program of Codeta, you will be able to enjoy plenty of rewards and perks which other players will not have an access to. One of the benefits of becoming a VIP Codeta player is receiving unique promotional offers which will be specifically tailored for you. Faster and personalised withdrawals are also another positive side of joining this special program of the online casino. If you join the list of VIP players, you will be able to receive important news before the regular customers of the casino. You will also have your own personal accounts managers. There is no need to make huge deposits or win big in order to join the VIP community of Codeta. It is enough to be loyal to the brand and enjoy the Live games which are offered by the casino. Codeta definitely knows how to treat its loyal customers and provide them with numerous benefits and privileges.